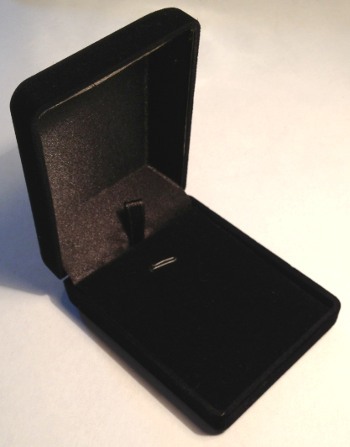 Velvet necklace box in Black colour for pendants, chains or necklace gift display packaging. Size 60x76x30. Black Velvet Pad insert to display necklace/chain included. Satin look Black internal trim style finish high quality Black velveteen jewellery gift boxes. High quality velvet style finish necklace gift box with rounded corners and internal trim finish. The information or images on this website may not be reproduced.